Rosa Mannion was born in Liverpool, and studied at the Royal Scottish Academy of Music and Drama. 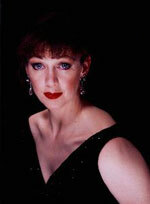 Rosa Mannion made her debut at Covent Garden as Pamina in a new production of Die Zauberflöte in November 1993. She has sung with all the main British companies in Constanze (Entführung aus dem Serail), Cordelia (Lear) by Albert Reimann, Sophie (Werther), Sophie (Rosenkavalier), Oscar (A Masked Ball), Gretel (Hansel and Gretel), Atalanta (Xerxes), the Countess (Marriage of Figaro) and Minka (Le Roi Malgré Lui). Engagements abroad include Pamina in Jonathan Miller's new production with Zubin Mehta and the Israel Philharmonic Orchestra in Tel Aviv; Dorabella (Così fan tutte) with John Eliot Gardiner in Lisbon, Paris, Amsterdam, Ludwigsburg, and Ferrara; Sophie at Deutsche Oper Berlin; Dorinda (Orlando) and Pamina at the Aix en Provence Festival with William Christie; and Constanze with Sir Charles Mackerras in Istanbul. Rosa Mannion's busy concert career has included appearances with the Monteverdi Choir and Orchestra, English Chamber Orchestra, London Mozart Players, Scottish Chamber Orchestra, Royal Scottish National Orchestra, City of London Sinfonia, The Hallé, Nash Ensemble, working with Gardiner, Leppard, Hickox, Tate, Marriner, Mackerras, Menuhin, Järvi, Mehta, Christie and Maag. She has also given numerous recitals in venues including Aix-en-Provence, Paris and London. Her concert performances have included Beethoven’s Missa Solemnis under the baton of Philipe Hereweghe with La Chapelle Royale; Entführung with Sir Charles Mackerras and the Scottish Chamber Orchestra; The Liverpool Oratorio with the Royal Scottish National Orchestra; Constanze with Les Arts Florissants and William Christie on tour in France; Dorinda also with William Christie and Les Arts Florissants in Montpellier and New York USA; a revival of Entführung in Istanbul with Richard Hickox; and her debut as Anne Trulove (The Rake's Progress) in Madrid.